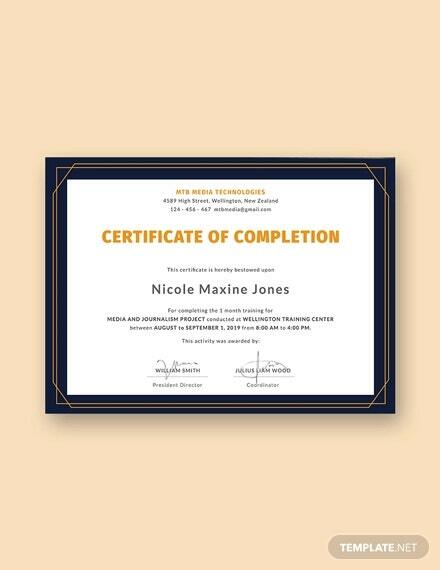 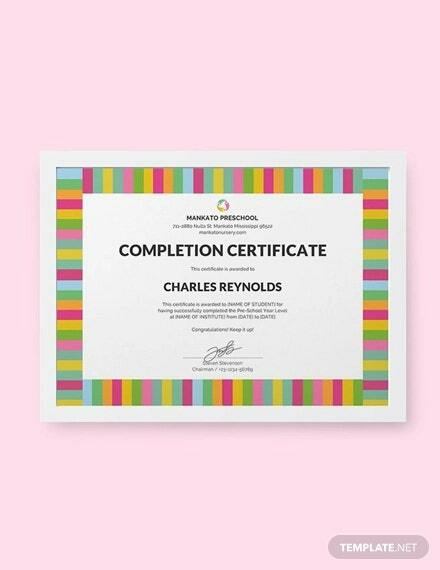 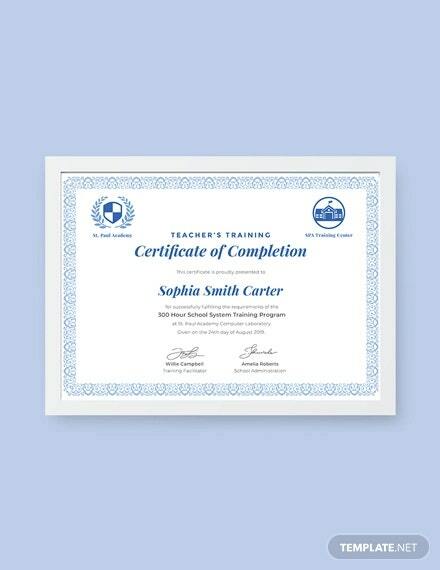 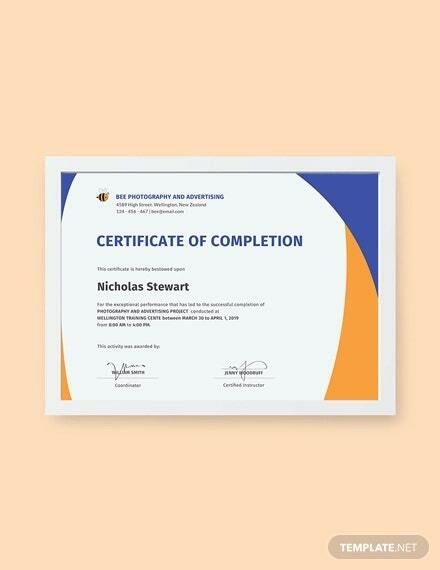 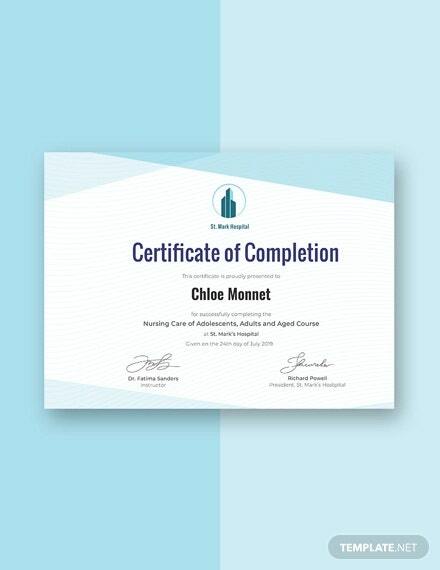 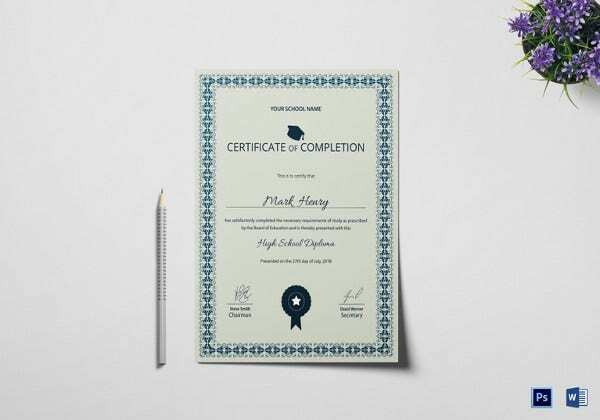 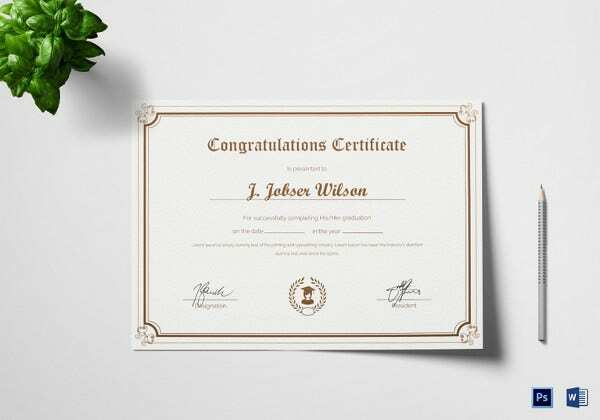 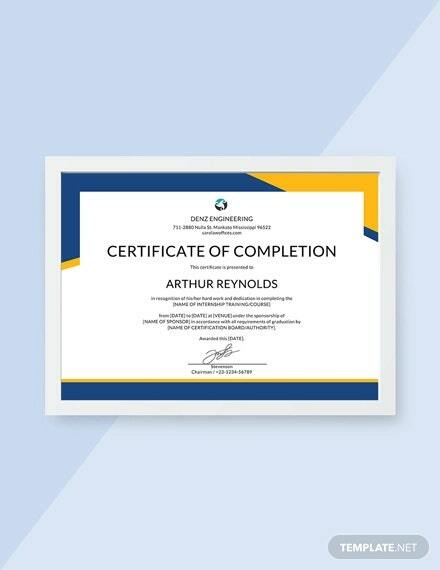 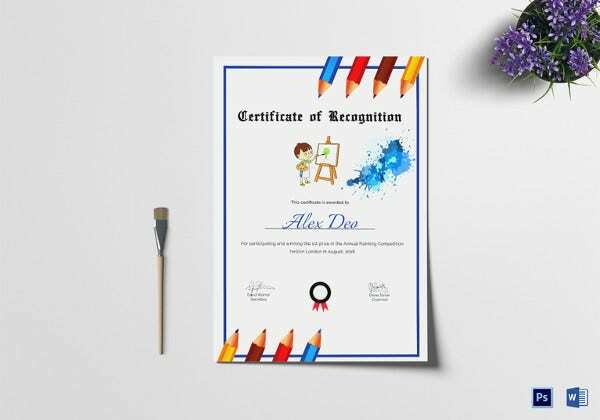 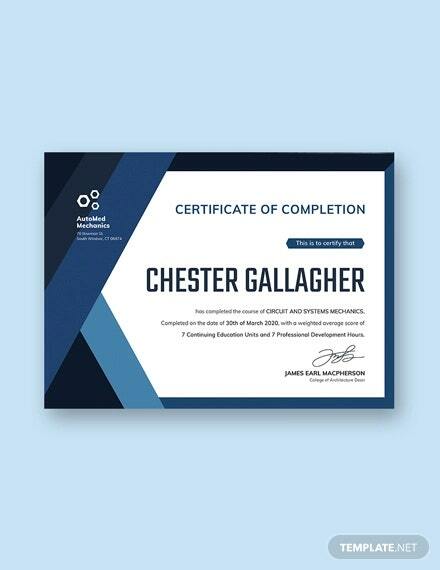 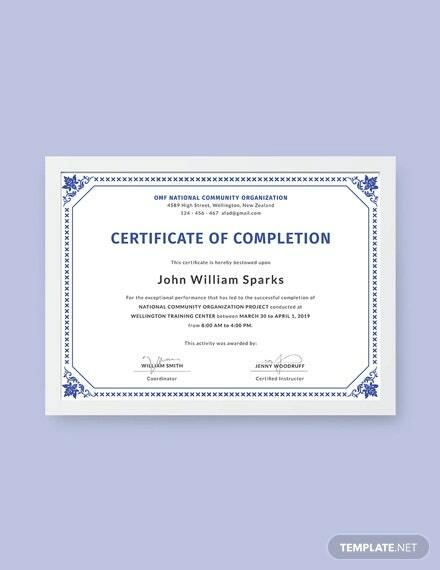 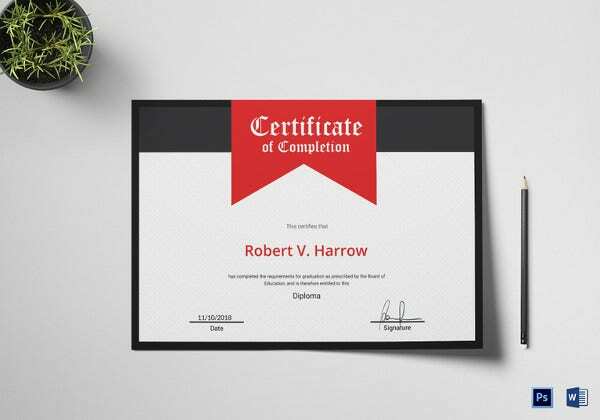 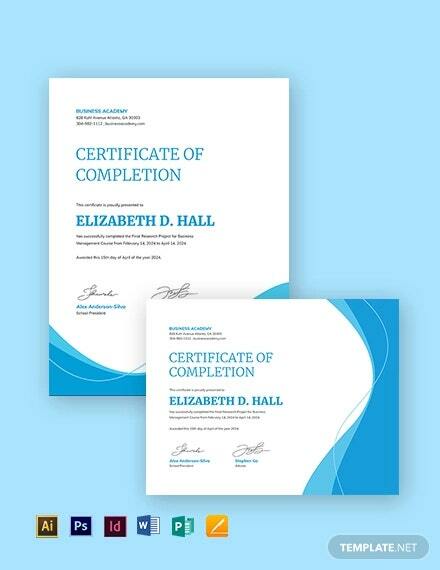 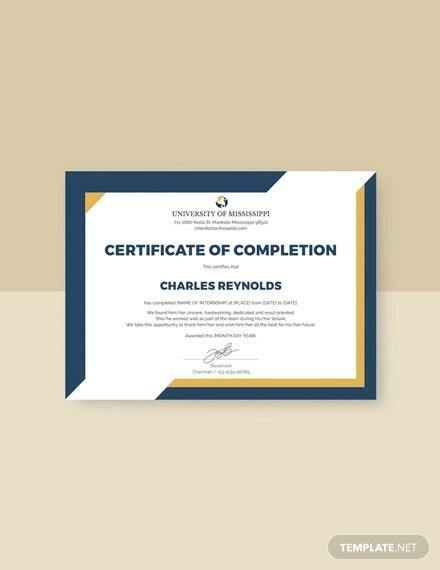 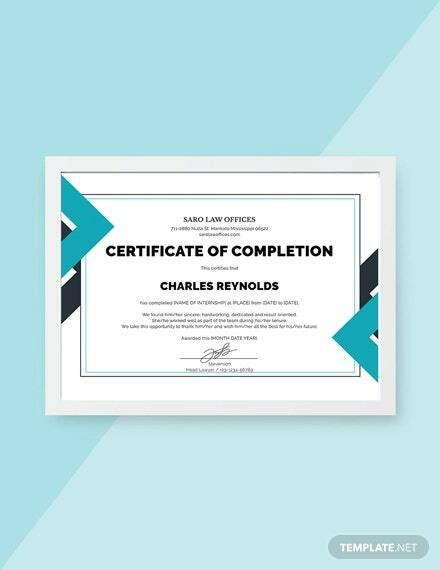 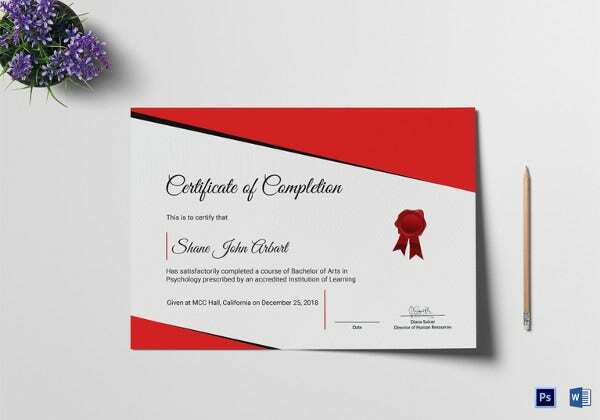 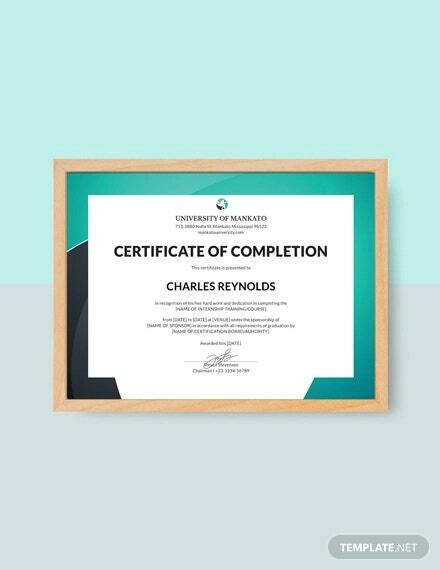 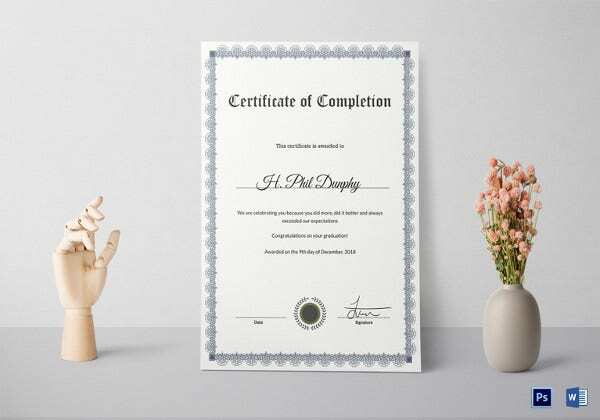 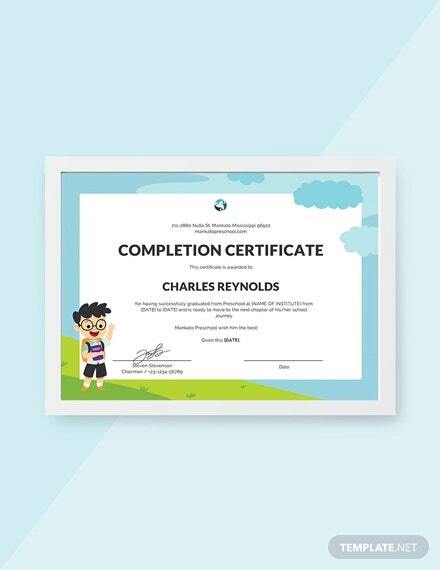 Awarding certificates for the completion of a course, programme, term of service or otherwise is a ritual that most companies and institutions follow, and these Sample printable certificates are often essential to prove that one has indeed completed the given course. 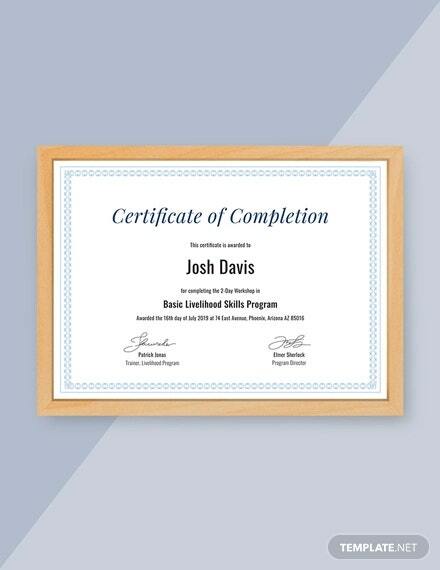 You may also see Certificate Templates. All Things Come to an End Most commonly, courses to learn vocational or other job skills offer certificates upon completion. 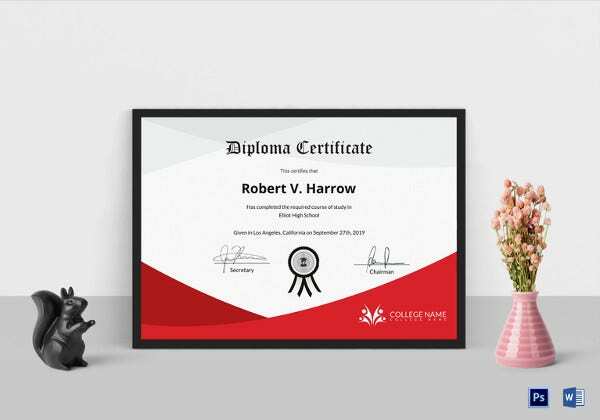 Since these are useful in the world of jobs and employment, designing and downloading such certificates is an important and delicate job. 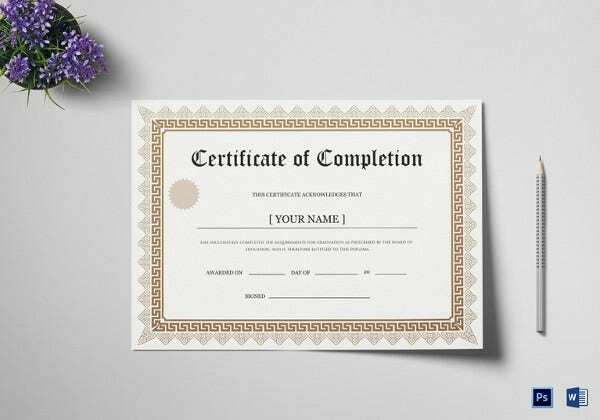 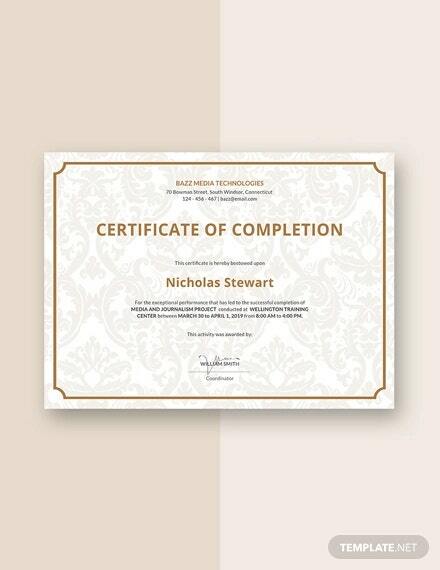 Printable Certificates of completion can be offered for diploma courses, degree courses or other academic activities. 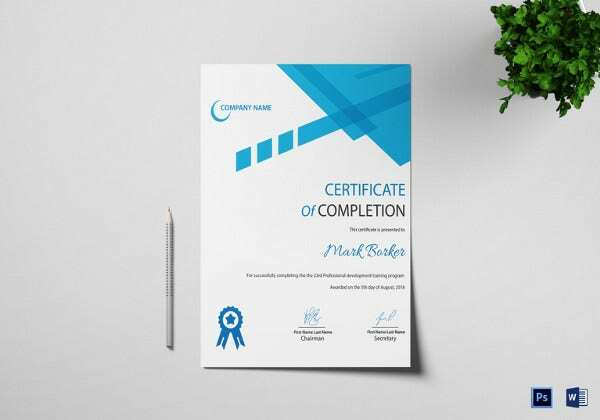 Most often, the end of a period of study at an institution is marked by a certificate of completion, and Certificate templates to design these free certificate of completion template word,PDF must include the basic facts and summary of the student’s participation in the coursework. 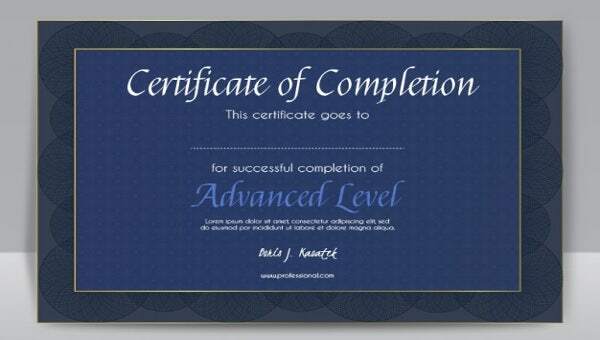 Sometimes, special areas of interest such as film making and artwork courses award certificates upon completion. 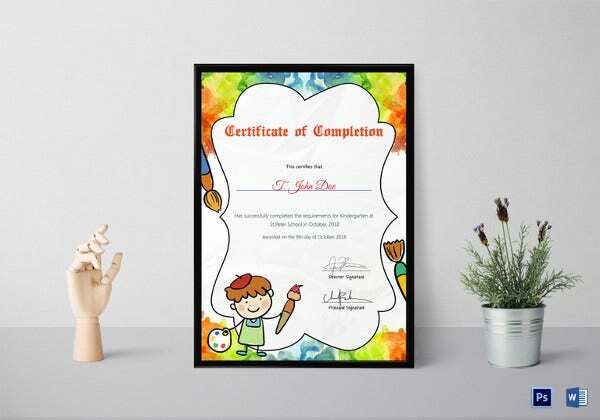 Templates for these could include the credits that they have earned. 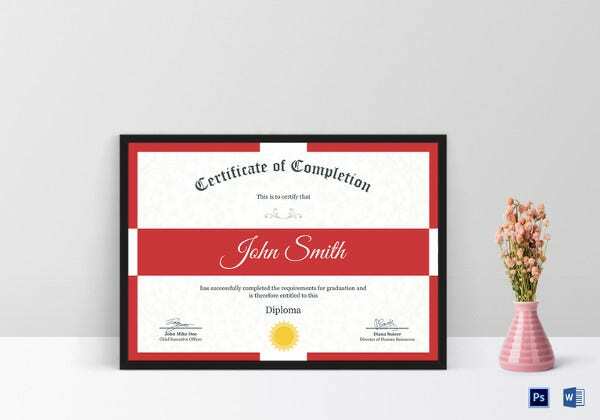 The space to recognise distinguishing achievements is open on certificates of completion, and templates can be modified to include such distinctive features of a participant’s coursework, to make it more specialised and effective.